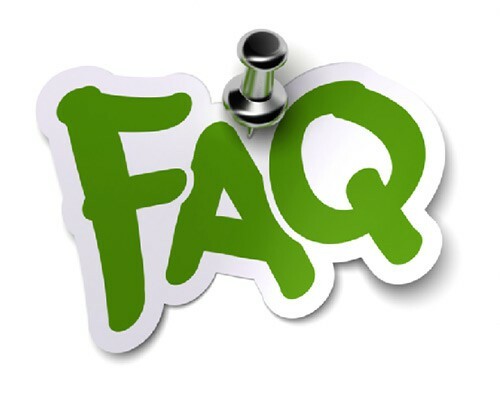 We have done our best to detail below most of the ‘Frequently Asked Questions’ but if you can’t see the one you need an answer to, please do contact us and we will do our utmost to help you. Click on the boxes below and they will expand to give you the information you hopefully need. We are always adding more answers to Horse Riding Holidays Spain Frequently Asked Questions. Its best to fly to Malaga airport, we can either organise a transfer and collect you from the airport or you can catch the overground from the airport to Malaga Maria Zambrano and then the train to Antequera – Santa Ana where we can pick you up or you can get a taxi. You can also hire a car at the airport and drive up to the Hacienda. Some guests prefer to request our transfer from the airport and then hire a car in Antequera. The cost for a return transfer is €110 per car between 9am and 7pm and outside these times there is a €40 supplement. Maximum of 6 people per car. We do not offer transfers after 7.30pm and before 9.30am as this causes disruption to our guests and dogs. If clients wish to fly at these times we will drop them in Malaga the night before and they can transfer themselves from the hotel to the airport. Or if clients arrive after 10.00pm they should make arrangements to stay in a hotel and we will collect them in the morning. We don’t allow guest to arrive at the house any later than 10.00pm. Please allow a 3 hour transfer window between departure from the house and your flight time. Can I hire a car ? There are 23 companies but only 9 of them are located in terminal buildings 2 and 3 with parking on floor -1 of P2 and floors -1 and -2 of P1. Access to the Malaga car rental desks in Terminal 2 is via a ramp in the arrivals hall. You will notice large signs that point you to a ramp that takes you downstairs to where the offices are based. The desks are located in the ground floor arrivals area of Terminal 3. Once you have picked up your keys a member of staff will inform you on which level of the car park and bay number you can find your car. Both car parks are connected to Terminal 3 through the transportation hub. The offsite companies are mainly located on Avenida Garcia Morato running parallel to the airport and you will have to take a courtesy bus to get to them. Some local advice to avoid the queues at the desks (especially during the summer months) is that if there is more than one of you in the party and you have to wait to collect hold baggage, then the non-driver wait to collect the bags from the carousel and the driver goes on ahead to avoid the inevitable rush when other passengers have collected their luggage and head for the desks. Car hire Malaga Airport is a very competitive business and well worth shopping around to see what deals are being offered as you can often make some great savings. Try to book your car as far in advance as you can as this often secures the best deal and also ensures that you get the make and model of vehicle that you require. When making the booking take into account the number of passengers and amount of luggage you will have to transport, as there is nothing worse than not having enough space and everyone feeing crammed in and uncomfortable. You should also book any extras like child seats at this stage, especially during the summer months when supplies can run out. Hire cars with air conditioning are also a “must” during the months of July-September. Whilst riding, wearing jodhpurs (or other suitable clothing) and boots are essential with light shirts/tops in the summer months and jackets in the winter. Dining at the Cortijo is very informal, its your choice to decide what you would like to wear in the evening . You will need to bring your boots, jodhpurs or any body protectors you wish to wear. We have a selection of riding hats, seat savers, chaps and some sizes of riding boots for you to use whilst you are on holiday if you require them. Most of our riders choose not to wear body protectors, it is not a condition of our riding. We provide a toiletry starter pack, slippers, towels in your room and also beach towels for the poolside. Also notice we have some toiletries on sale on our on-site shop in case you forget anything. Is there a weight limit for riding ? We do have a weight limit of 100kg for the benefit of all our horses. All riders will be weighed prior to their assessment lesson. What level of riding do you teach ? We have a range of very well schooled horses that are suitable for every rider, from complete beginner to advanced riders. Our instructors will establish what your goals are for your riding holiday and help you to work towards achieving them. Andalusia has a warm climate all year round and we are lucky to have many warm, sunny days right through winter. We have pleasant temperatures from April to early November. And in the hottest months of July and August we change our riding schedule to hack in the early morning breeze and the gentle wind of the late afternoon. In Winter time you can see the snowfall on the Sierra Nevada mountains on our 2 day trail ride. With the colder season we have dinner beside the beautiful log fire in the Chapel Salon or the Lounge Salon, depending on amount of guests. By the end of January we ride through the almond blossom. If you visit in Spring , the ‘campo’ is a vibrant green and the fields are full of colourful poppies, fragrant camomile & meadow flowers. You can also see the wild miniature Orchids and the wild lilies. Although sometimes cool, with the odd showery day, the temperature is ideal for long hacks into the fields and late nights by the fireplace. Into Summer the temperatures rises, however we alter our riding schedule to allow early morning hacks in the shade of the pine groves and late afternoon lessons. With brilliant sunshine almost every day guests can then relax by the infinity pool or even take an afternoon siesta. Summer is full of local village fiestas to visit and sample the true Spanish lifestyle. As Autumn approaches, there is the occasional day of rain, but with milder temperatures are a great time to enjoy hacks into the Campo. This time of year many local crops are being harvested from olives, grapes to almonds. On September our village has their annual wine festival, where you can sample local wines and listen to some live music. How long can I book for ? Our riding holidays start from 3 days duration. Most of our guests stay a week or longer to fully benefit from the tuition we offer. Where can I have lunch ? The village of Mollina is also nearby with many authentic bars and restaurants to enjoy. We have several rescue dogs at the Cortijo at any one time. Other well behaved pets are welcome to visit us. Where can I visit nearby ? With and excellent location is perfect for those who want to experience the cities, towns and villages of the Andalucían region and the real Spain. We have three stunning, historic & very different cities of Seville, Cordoba, Malaga and Granada a little over an hour away. Closer still, within a 20 minute car journey, we have the beautiful medieval town of Antequera, the cross roads of Andalusia. Trips can be organised from the Cortijo with our on site transport or car hire is readily available from the airport or Antequera. You must have full insurance for your horse riding holiday, it is a condition of booking that all riders must take out holiday and accident insurance prior to riding.